Pranav Mohanlal’s next film with Anwar Rasheed…! Mohanlal to play a black market wear in Shaji Kailas’ next?!! Fascinating! 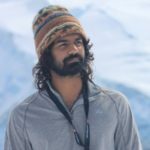 Pranav Mohanlal Dons The Cap Of A Lyricist!